Geraint Richards, Head Forester for The Duchy of Cornwall and WH Trustee, together with the Forestry Commission organised the event to bring forestry organisations together under one roof to highlight successes, but more importantly to address the real need for learning and development opportunities for all. 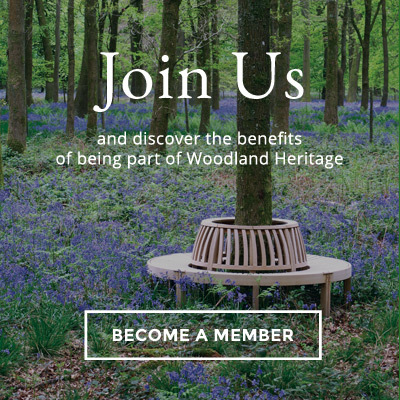 Speakers included Oliver Rackham OBE, Peter Bonfield OBE (Grown in Britain), Graham Taylor (WH Trustee and Pryor and Rickett Silviculture), Ian Gambles (Director of Forestry Commission England) and Richard Bower (Royal Warrant Holders Association). Ian Gambles, Director of Forestry Commission England, commented: “Everyone involved in forests and woodlands today has a duty to play their part in developing the next generation of foresters. The scientific and practical skills needed to manage our woodlands will be needed more and more as markets strengthen and woodland cover grows, and we must invest in them now”. Lu Mason (Say It With Wood) and Luke Hemmings (WH and Whitney Sawmill & Joinery Workshops) also described their journeys into the industry and how that without encouragement, advice and some financial help, their passion to work with trees and wood would probably never have happened. Workshops further explored how partnerships within the forestry industry could be created and further developed. Everyone was in agreement that there was more that could be done to encourage the growth of forestry education and skills for the future through apprenticeships, training for foresters and arboriculturists and by working ‘with’ partners to offer these opportunities. Our Patron is a great supporter of developing and promoting forestry and woodland management skills. We were particularly honoured when he kindly agreed to present Nina Williams with The Prince of Wales Award 2013. His trophy is awarded annually to the top student from our ‘From Woodland to Workshop’ courses. Nina, a relatively newcomer to the forestry sector, recently graduated with a Master’s degree in Rural Land Management. Prior to that, she served as an officer in the Royal Engineers for ten years. She now works for the South Downs National Park Authority as their Forestry and Woodland Development Officer.